This goes full circle! 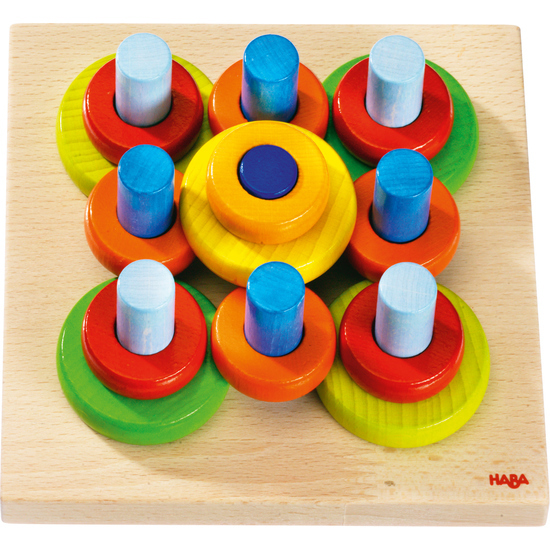 The 25 multi-colored wooden rings in 2 sizes can be placed, stacked or arranged on the pegboard in a nearly limitless fashion. Whether orderly sorted or in dizzying designs, your child can explore a myriad of possibilities. Contents: pegboard with 9 pegs, 23 colored rings in 2 sizes.